All are welcome as we celebrate a very special Christingle, as it is 50 years since the first service in England at Lincoln Cathedral on 7 December 1968. But Christingles themselves actually go back much further, and began in the Moravian Church in Germany. At a children’s service in Marienborn in 1747, Bishop Johannes de Watteville looked for a simple way to explain the happiness that had come to people through Jesus. He decided to give the children a symbol to do this. 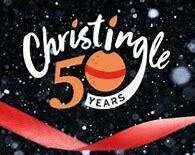 In 1968, John Pensom of The Children’s Society adapted Christingle and introduced it to the Church of England. This involved children decorating an orange with a red ribbon, dried fruits, sweets and a candle to create a new visual representation of Christ, the light of the world, celebrated by the lighting of the Christingle candles.